The art of purple clay pottery is a highly prized artistic tradition in our country. The language of shapes that it uses is rich and elegant. It possesses a unique flavor, a communicative artistic expression and a moving artistic attraction. It is a singularly remarkable cultural form, and enriched people’s material and cultural life. The art of purple clay sinks deep and stretched wide in the cultural domain. 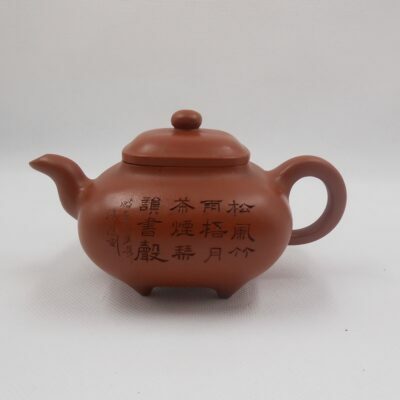 It puts together, tea ceremony, flower arranging, literature, calligraphy, painting, metallurgy, handicraft and technology. It takes articles from everyday life and raises them to the realm of aesthetics, and in the process, they become art objects of deep significance. The art and craft of purple clay pottery is not only extraordinary, it is also full of significance. It isn’t just made up of clay and space; its main composition is culture, deep traditional culture; how else could it possess such deep artistic attraction, how else could it be so contagious? Although the art and technique of purple clay pottery involve different elements, the two must exist as one and not be separated. Technique is the basis of materials, and art is the existing energy. Technique is the high or low production standard, and without a high technical standard for the method of production, the result would not have strength in expression. If a pieced of the highest caliber in design is made roughly with low quality production, it cannot express what is intended in the design. If the best technique is applied but the craftsman lack artistic intelligence, the result would be a polished piece, perfect only in form, and would lack flavor, spirit, and the overall quality would still be low. To truly appreciate a piece, one must observe it and appreciate it through its form, spirit, energy, movement, rhythm and ingenuity. Form: the shape of the ware, whether it’s geometric, derived from nature, or closely modeled on natural objects, no matter the form, they all have the language of shapes. This language has no sound; it tells of the shape of an object created by molding. This means that every piece of ware is carefully thought out and planned since the result must have meaning, or else it would lack artistic value. A meaningful piece holds fascination, captures the imagination, and must be of a shape that has gone through refinement or transformation. Spirit: every piece must have “spirit”. “Spirit” is the hardest to describe in words. It is the expression of artistic force from within thepi8ece; it is the inherent appeal of a piece; its spirits is brought about through refinement. We usually regard guang huo (geometric form) types as simple and clean in shape. If the shape is round, its physical mass must be balanced; it must not be overly rotund and the circular lines must be perfectly curved, etc… Of course, geometric forms are also changeable, the lines flow and extend with rhythm to reflect the ware’s intrinsic rhythm in its spirit. Carefully made pieces are not thin, hard as rock, and lacking in spirit. If the four sides of a square shape is measured for evenness when making a square, the final product will likely be negative and the piece will lack vitality. Therefore, squares must have flesh and strength. Forms derived from nature, and forms closely modeled on natural objects must express the living spirit of the object it represents. One must first grasp the object’s particular shape, its way of growth. Objects such as the pine, bamboo, plum, cypress, peach, gourds, fruits, flowers, birds, fish and insects are commonly seen by everyone which means there must carry the feeling of familiarity. 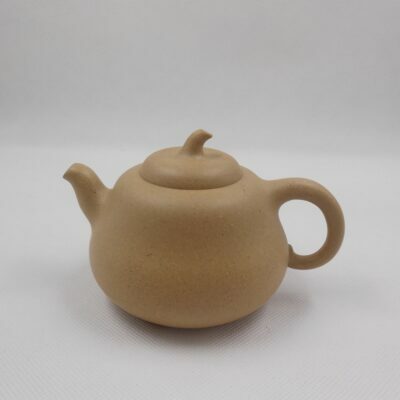 This means that to make any of these into teapots, appropriate elements of nature must be chosen as the basic shape or as a decorative part on a teapot. What is represented must appear more than what they are in reality since the art of pottery is to extract the essence of what is beautiful in these objects, to produce natural beauty in concentrated form. It is not to make exact copies that are dead and dry. It is to seek the heart and soul of nature’s vitality. That is how each piece of ware can express a “spirit”. Energy: this refers to inherent appeal and atmosphere which must be homogenous throughout a piece of ware. 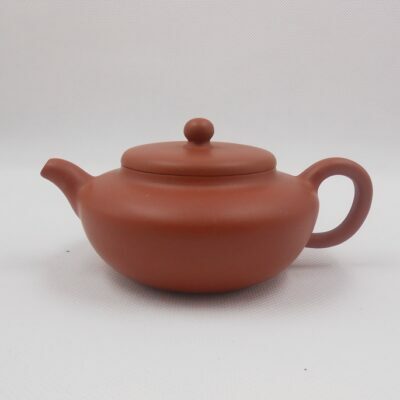 To be refined, its pose must be natural, moving, yet original, especially for a teapot since one must be able to express in a mass as small as the teapot, the greatness and magnificence of a tree or bamboo, the fervent growth of a branch, dauntless and brimming with energy. Movement: forms derived from nature and geometric forms have their differences. Forms derived from nature must display the living and growing state of the object represented. However, these forms must not go beyond the limits of living and growing and represent something beyond or incongruous with nature. Geometric forms also involve an infinite number of changes. As the saying goes, roundness is not in the substance, and square-ness is not in the form. Geometric forms are usually very regular with a bit more or less so here or there. For some, the simpler the shape, the harder it is to make. Geometric forms depend on the appropriate use of points, lines and surfaces for shapes to be rich, natural and harmonious. Rhythm: a piece must have a balanced combination of form, spirit, energy, movement and rhythm. Adding a rhythm to its movement will make the lines flow more gracefully. The arrangement of the hard and soft, top and bottom, left and right should be continuously uniform and complementary, which should make the piece even more fascinating. Ingenuity: and art piece of purple clay must have ingenuity in its: design, choice of materials, production, and craftsmanship. During the production process, one must pay attention to using different methods, since special pieces require special methods, including the creation and usage of particular tools for a particular piece. In addition, one must be able to manage successfully the entire production process and its various segments. This implies a technical understanding of the process. Competence in the members of the production team is also a major factor in determining the success of the wares produced. 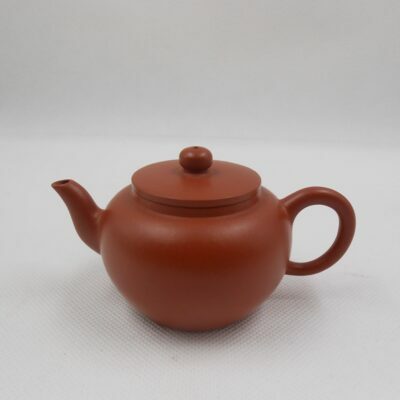 The art of purple clay pottery uses the traditional style as the main theme. The wares are practical as tools and as decoration. The are rich in significance and their forms can exist in myriad ways. All types of wares can be found in various florid styles and each type expresses a unique feature. The different types are a reflection of the cultures found among the people of the East. Also, the individual wares exhibit the artistic styles and discipline of the craftsmen involved. In essence, to appreciate a piece of purple clay pottery, one must not only look at how well it is made. What is most important is whether the piece reflects the form, spirit, energy, movement, and rhythm of the object it represent, which shows the level of the craftsman’s artistry. The standard of quality lies in the degree of thoroughness in production. 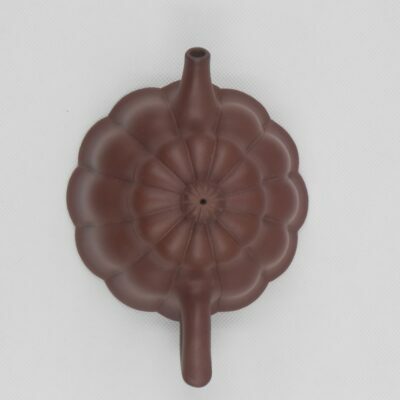 To fully grasp the art and technique of purple clay requires more than a day or even a hundred days. Like calligraphy, which involves continuous learning, enlightenment only comes after hundreds and thousands of trials and tribulations. A perfect piece of purple clay pottery doesn’t com easily and is highly precious and valuable. The success of an artistic piece can be likened to being pregnant for ten months and then delivering in one day. In the garden of various art forms, there is music which is so beautiful that people never tire of hearing it. There is also, in the garden, the art of purple clay which has also been passed down through the centuries as connoisseurs collect, treasure, and guard jealously purple clay pieces, and never tire of enjoying them. The long and continuous history of purple clay pottery and its popularity has proven its worth. Now, we should continue to uphold and develop this exceptional traditional art form. We should take in what can nourish us in our time to raise our individual quality and talent, to widen our vision and our mind. We should create new designs and produce art pieces from purple clay which are in step with the time.